The 29th of May, 2018 had marked the beginning of a new bull run in the price of Bitcoin. In a period when everybody was bearish on Bitcoin and most of the “analysts” suggested that it could head towards 3,000 or claim that Bitcoin is really dead, the exact opposite happened. Bitcoin had bottomed at 5,777 on the Coinbase exchange, and what followed is a nice 32% price increase from bottom tick to top tick. Short sellers had been squeezed along the way and right not the market sentiment is beginning to shift. There is a growing confidence in the market that we will witness the first Bitcoin ETF in the next few months. Thus far, the SEC had rejected any request related to ETFs, putting into question the investors’ security and coin insurance. The CBOE had applied recently and various sources are claiming that the result might be positive. These assumptions are based on the fact that the CBOE had managed to launch Bitcoin futures at the end of 2017. The market participants believe in CBOE’s ability to ensure all SEC requirements and that is why traders across the globe had been pricing in this event. However, if the result will turn out to be negative, the price could begin to dip aggressively. SEC officials had been publicly stating that cryptocurrencies like Bitcoin and Ethereum would not be treated as securities due to their high level of decentralization. That means, there is no pressure on Bitcoin from this point of view. Still, things can change in the meantime. Firstly, even if the US will apply this framework that does not mean all the other major cryptocurrency markets will do the same. The situation needs to be monitored. We must also refer to some technical aspects. What we know for sure is that Bitcoin had been under heavy pressure in 2018. Losing more than 60% means the overall market sentiment is extremely bearish, and that order flow biased towards the sell side won’t change in a few weeks. Also, traders should be aware that bottoming formations take a longer time to form. There is still upside potential in Bitcoin, but waiting for it to go towards last year high impulsively won’t happen anytime soon. 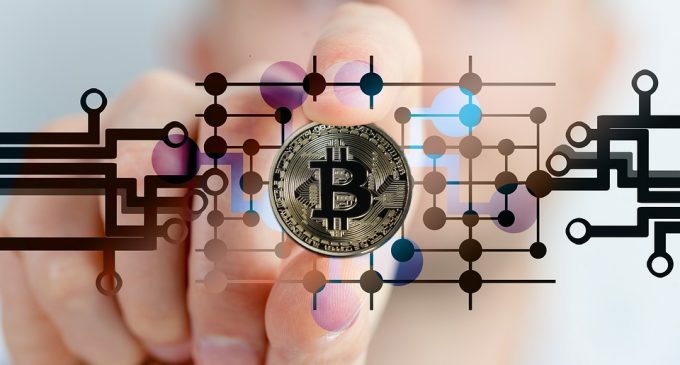 Cryptocurrencies still have a lot to prove in order to gain extra confidence, which could bring more money into the market.